For fluid(s) up to a viscosity of max. 100 mm²/s at 20 °C (except for substances containing paint, resin and glue), Do you have a need, then our self-priming systems of the TCJ series are just the right thing for you. The advantage of the TCJ system is that it reduces and prevents dirt ingress into your process. Both the 10-liter and 25-liter system both are adapted to commercially available fluid containers. This allows the container to be directly changed – without cumbersome refilling. The result is no dirt in the container and thus a process that continues to function optimally. System available for up to six spray heads. NEW! Impresses not only with its well-conceived components and size but also with its innovative form. This system has combined HPM’s decades of experience in an attractive design. The independent regulation of fluid and spray air pressure achieves excellent results even with higher-viscosity media. 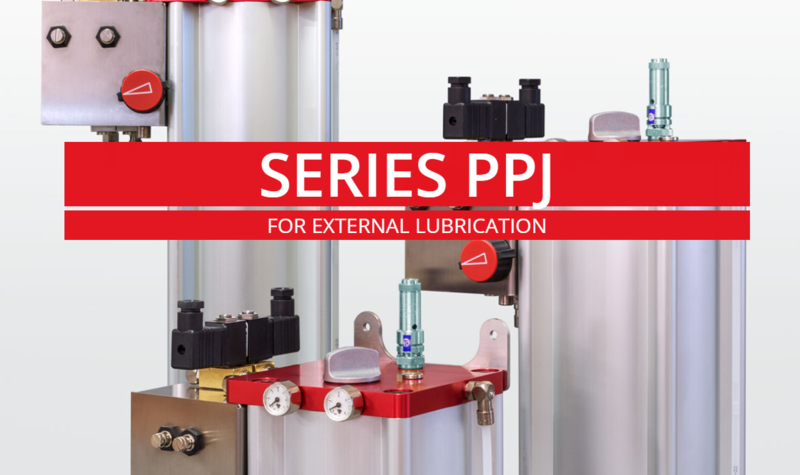 The PPJ system can be used with our spray heads (starting on p. 20) and the JOP drip-feed dosing device (p. 30) up to a maximum viscosity of 2300 mm²/s at 20 °C or 500 mm²/s at 40 °C (except for substances containing paint, resin and glue). Suitable for all fluids that reach a maximum viscosity of 2300 mm²/s at 20 °C or 500 mm²/s at 40 °C (except for substances containing paint, resin and glue). Module for wall installation consisting of a stainless-steel pressure tank with 10 or 15 liters, fluid filter (100…120), as well as one or more valve modules and a service unit. Due to the possibility of regulating the fluid pressure independently of the spray pressure, our MDJ system is also very well suited for larger transfer, profiling or automation systems with a large number of spraying points. We will be happy to plan a special system just for you, simply contact us. Mobile minimum quality lubrication system for controlled and fine film application of fluids in the low-pressure range according to the injector principle. This unit is connected to the customer’s compressed air line via a quick coupler and fastened with the magnetic base at the desired place of installation. The spray head is positioned via the accompanying bracket. A spray jet with a full cone of approximately 15° is created with little overspray at the spray head by switching the solenoid valve on and off. Suitable for all fluids with a maximum viscosity of 100 mm²/s at 20 °C and 35 mm²/s at 40 °C (except for substances containing paint, resin and glue). 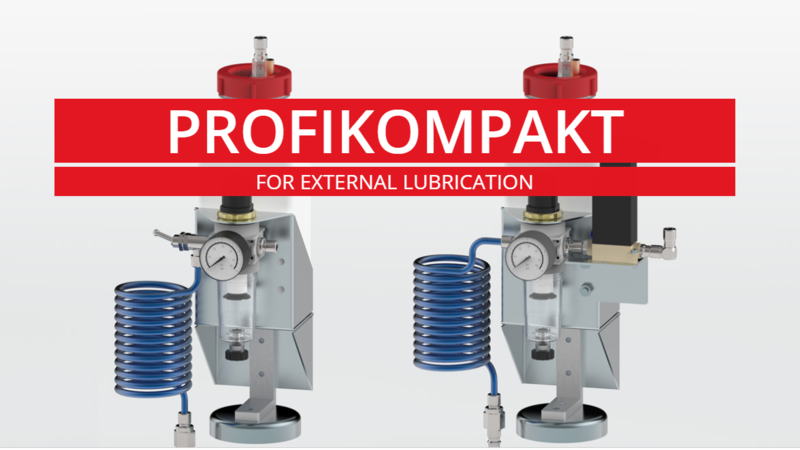 Our ProfiKompakt is also available with our precision drip-feed dosing device.